Whoohoo! 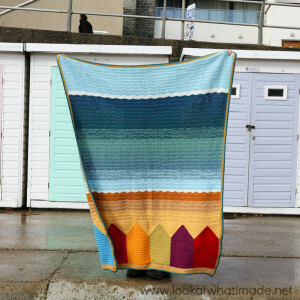 My beach hut blanket is done and I have decided to call it Summer in Swanage. Although the blanket was inspired by the beach huts in Mossel Bay and Muizenberg (South Africa), I found myself constantly reminded of our recent trip to Swanage as I made row upon row of waves. I am a very sentimental creature and this blanket, for me, has become Swanage. The photo above was taken just before I added the border. I chose to add a simple linen stitch border. The green is my nod to the Studland Seagrass Meadow (which gives the water in Studland Bay a teal appearance). The yellow is for the sun, and the blues echo the colours of the sea. 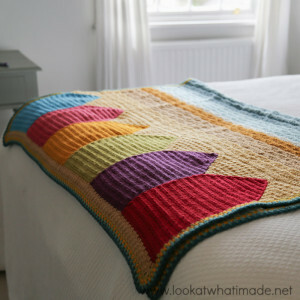 I decided on this simple border because the blanket itself is so simple. If I could have gotten away with it, I wouldn’t have added a border at all, but the blanket did need a little something to finish it off. I have to say that I LOVE this blanket. I loved making it, I love how it turned out, I love what it reminds me of. When I look at it I am playing on the beach as a child, I am walking along the beach writing prayers in the sand, I am sitting on the beach with my husband on our first Valentines together, I am watching my children build sand castles while I crochet. 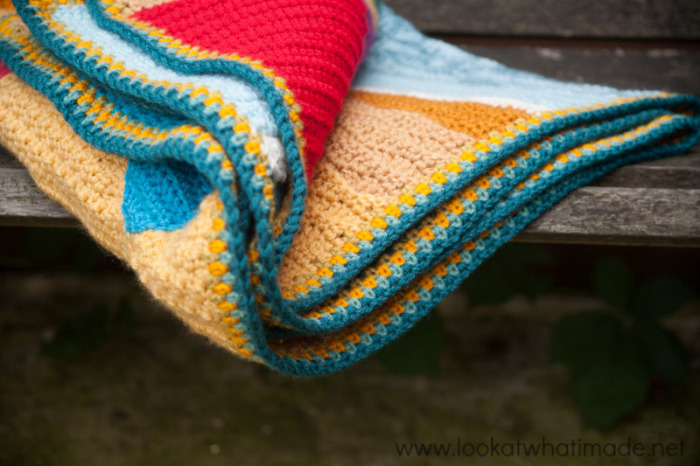 You can now find the free pattern for the blanket HERE. 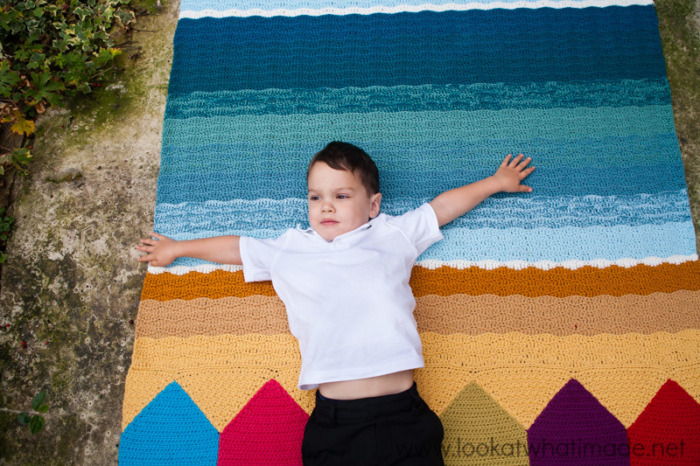 You can find the Colour Crafter I am using on Scheepjeswol.com (NL), or Deramores.com and Wool Warehouse (Internationally). If you already have some of the yarn and you’ve made something with it, please share it on Instagram using #Scheepjes #ColourCrafter. Thanks for sharing your pattern. 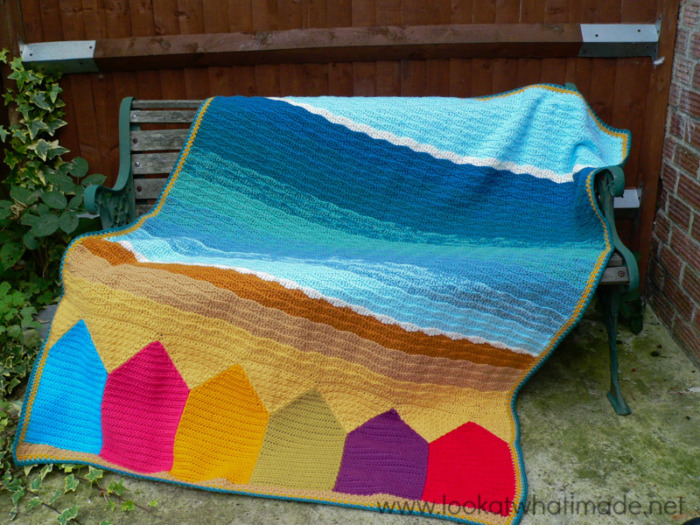 I am moving to very near Swanage in October and I have ordered the yarn as I just have to make this blanket. I’m more of a knitter than a crochet person but I tried your stitches with practice yarn before I ordered and I found that I could manage them all. Can’t wait to get started. Bev, how wonderful! Swanage is just so pretty!! I’m glad you found the stitches manageable. It’s probably my favourite whimsy pattern and reminds me of Swanage when I’m in grey London. I love the blanket and although I live in South Texas, a long way from the sea, I would love to do this blanket because the colors are wonderful. I think two strands of yarn will make it much to heavy for our hat temps here in Texas. Can you advise me how much yarn I would use and perhaps a hook size for using only one strand. Hi Marie, I wouldn’t know where to start with yardages for a single strand blanket. I want to say a third of the yarn I used (assuming you are using double knit (light worsted weight), but that is a rough estimate. If you are using double knit (light worsted weight), you will need to use a 4 mm hook. If you are using worsted weight, I would use a 5.5 mm hook and you will use roughly the same total weight of yarn as I did, but the yardages will be about half. Dedri…you are amazing!! Each of your creations are awesome!!! 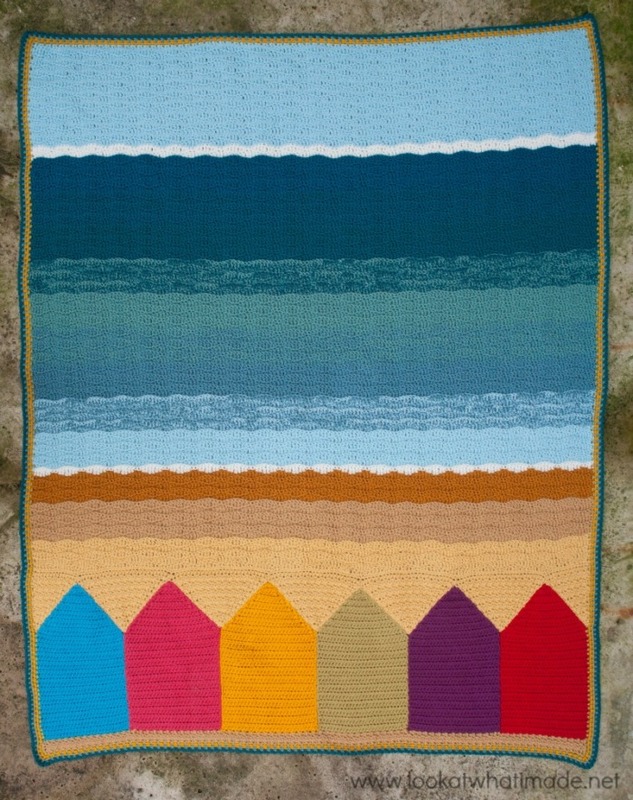 Love this wonderful blanket…you make me feel as if I’m on the beach or at a beach…and I keep looking outside my window to remind myself that I’m only in Montana (USA). BUMMER!! But thank you for making me believe I MIGHT be at a beach!! Thank you, Jo :) I am at the beach every time I lie under mine in our very-far-from-the-beach livingroom. 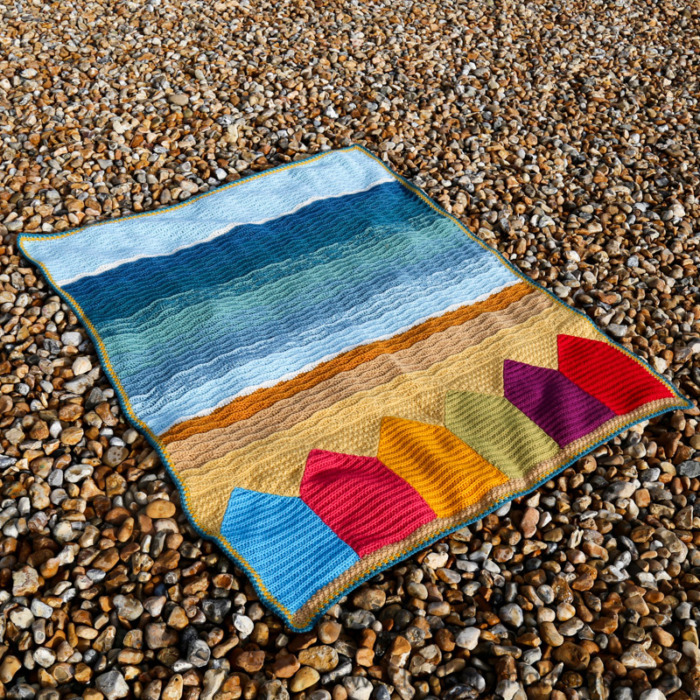 Oh, Dedri…this blanket really looks like the seaside!! Beautiful!! Kudos to you!! I’m not sure if I want to go for a swim or lay on the beach…. Either way, I want to go there. Guess I’ll have to make the afghan so I can lay on it. 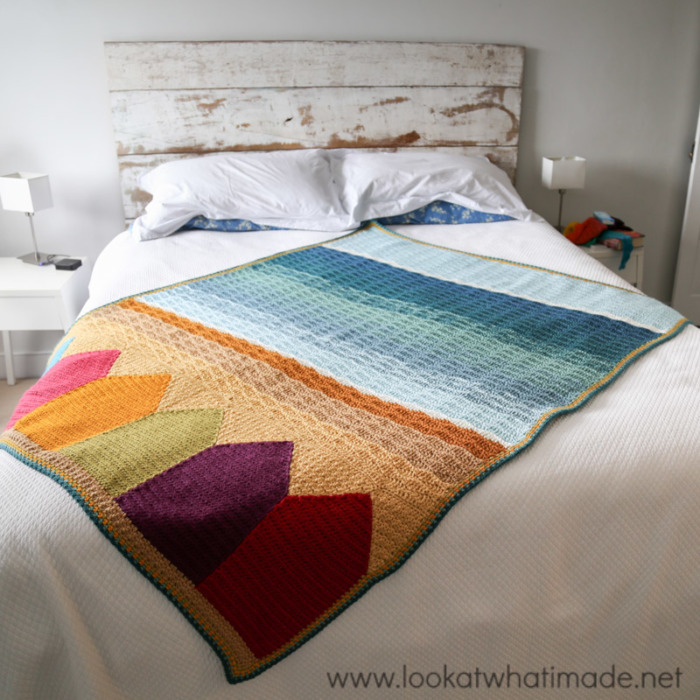 Hi Dedri, this blanket is absolutely gorgeous! 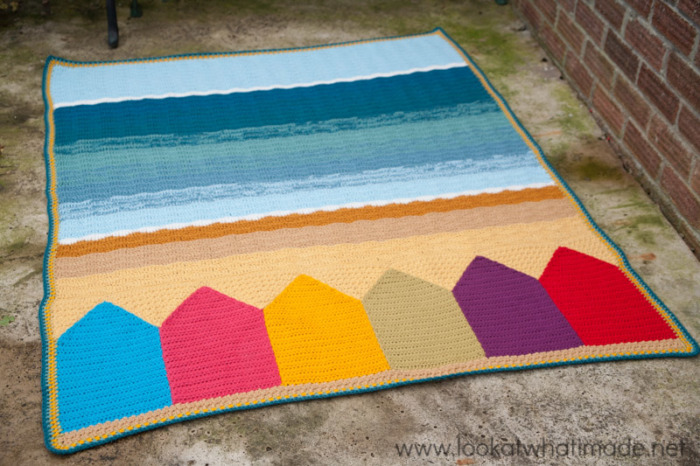 How did you find working with the Scheepjes Colour Crafter? The colours certainly look stunning! I loved working with it. It is easy to work with and it feels so nice! 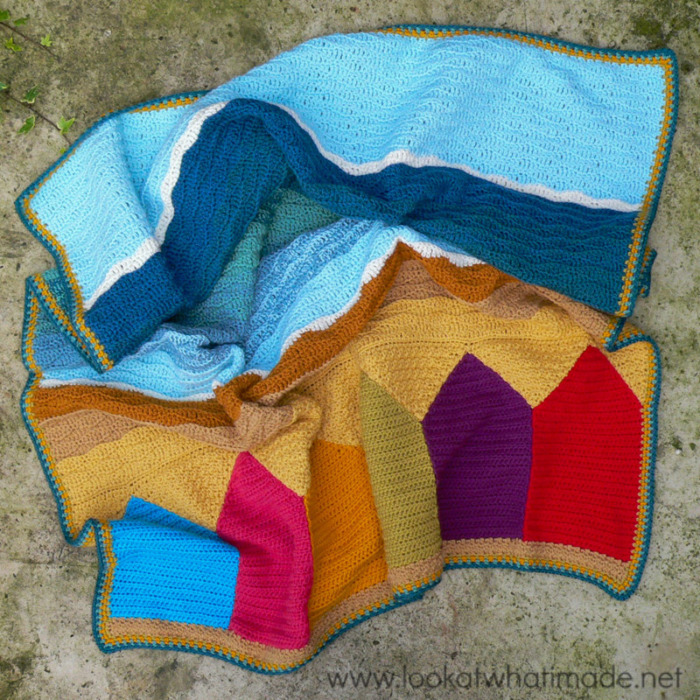 The finished blanket is lovely and dense (due to using 2 strands at a time). Dedre that is so lovely. Just perfect for our summer in Queensland Australia. 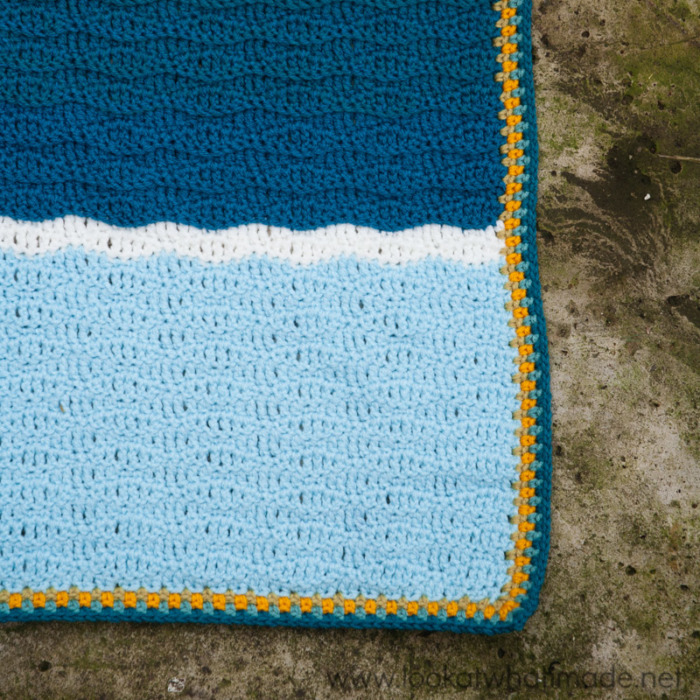 The linen stitch border is perfect. I thank you for sharing that stitch with us. Dedri, It is all lovely! The blanket and the photography! I too am a “beach baby” and look forward to making one of these! Thank you! It truly looks like the sand and the sea…way, way, way out on the horizon. Beautiful! I am so pleased that you like it. Oh that is just so beautiful. It reminds me of the beach and I’ve never been to Swanage. It reminds me of my childhood on the beach in Stamford, CT, USA. Thanks for sharing your creativity with all of us!!! This is wonderful. You have captured everything, but especially the water, perfectly! I love everything about this blanket. Congratulations on making your dream pop out in yarn! Oh, Dedri, itt looks lovely, no— it looks dreamy!! I’m looking forward to the pattern. Thank you, Andrea :) I am so pleased that this is not one of those situations where I like something but no-one else does! Hi Susan. Maybe you can make one in her memory? 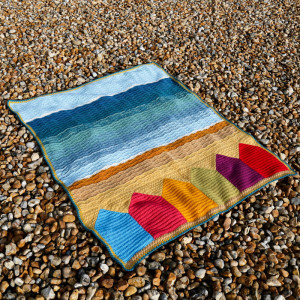 I absolutely love your new blanket, you a have captured the sea brilliantly, wondering how you get the verigated effect in the waves, can’t see any verigated blues in the Colour Crafter chart. I used 2 strands of yarn at a time, swapping colours in and out to get the variegated effect.